MINERAL POINT – Governor Scott Walker traveled to Mineral Point Elementary School today to sign Assembly Bill 73, which designates cheese as Wisconsin’s official dairy product. Cheese joins a list of state symbols, including the dairy cow, which was designated the state’s domestic animal in 1971, and milk, which has been Wisconsin’s official state beverage since 1987. 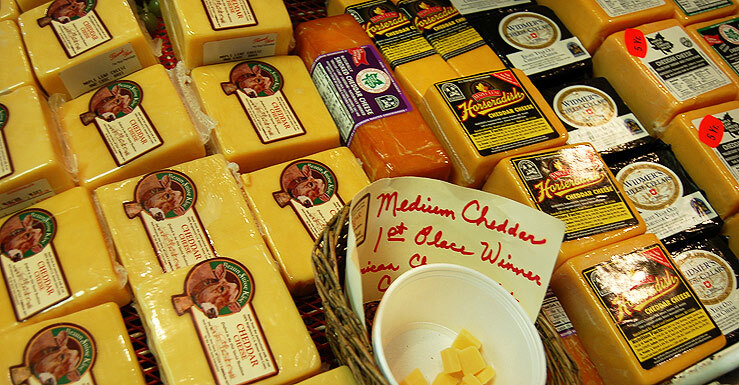 Assembly Bill 73 – designates cheese as the state dairy product. Current law designates a variety of state symbols and requires the Wisconsin Blue Book to include information about them. This bill designates cheese as the official state dairy product and requires the Wisconsin Blue Book to include that information. Authored by Representative Todd Novak (R – Dodgeville) and Senator Howard Marklein (R – Spring Green), the bill passed the Assembly on a vote of 96-0 and was concurred by the Senate. It is Act 8. For more than a century, Wisconsin has led the nation in cheese production, producing over three billion pounds of cheese annually. Wisconsin cheesemakers combine generations of tradition with cutting-edge innovation to craft the finest cheese, and Wisconsin is the only location outside of Europe to offer a prestigious Master Cheesemaker certification for veteran cheesemakers who have been making cheese for ten years or more. The state regularly takes home top honors for its world-class cheeses, including the historic sweep of the cheese industry’s three major competitions – the U.S. Championship Cheese Contest, the American Cheese Society Cheese Competition, and the World Championship Cheese Contest. The designation of cheese as the official state dairy product was proposed by a group of fourth grade students at Mineral Point Elementary. 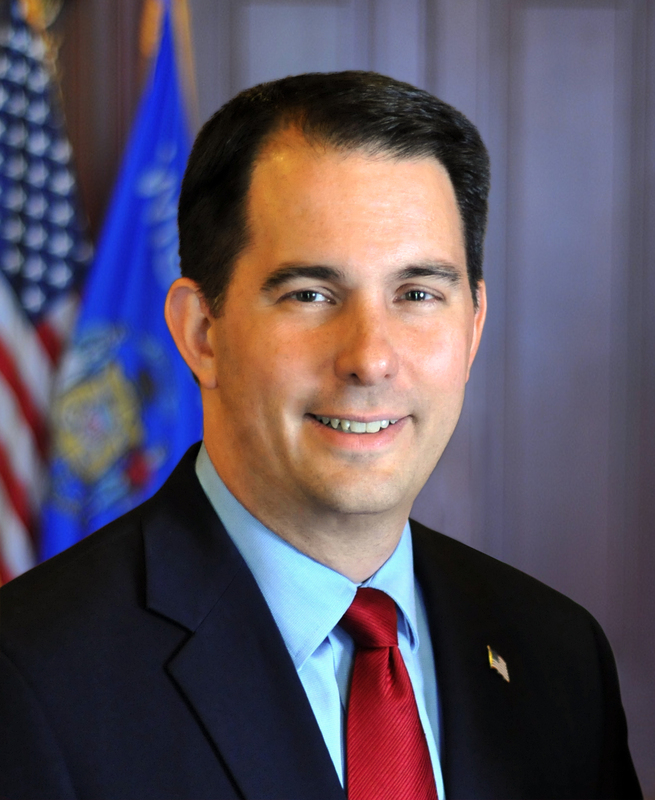 Governor Walker also declared June as “Dairy Month” throughout Wisconsin. With more than 9,000 dairy farms throughout the state providing nearly 80,000 jobs and generating $43.4 billion in economic impact annually, the dairy industry is vital to Wisconsin’s economy, culture and heritage. A copy of Governor Walker’s proclamation is attached. While at Mineral Point Elementary School today, Governor Walker also signed Senate Bill 62 into law. Senate Bill 62 – under current law, an elective officer or officer-elect of a city, village, town, or county may refuse his or her salary by providing certain notice to the clerk or treasurer of his or her political subdivision. This bill extends to a school board member or member-elect similar ability to refuse his or her salary. Notice to the clerk or treasurer of the school board member’s political subdivision must be given before the board member takes the oath of office and before the board member performs any services in their capacity as a board member. Authored by Senator Howard Marklein (R – Spring Green) and Representative Todd Novak (R – Dodgeville), the bill passed the Senate on a voice vote and was concurred by the Assembly with a vote of 98-0. It is Act 9. Has cheese NOT been one of our official dairy products before this? What about all those Cheeseheads?